Champions League is one of the most awaited and prestigious leagues in the world of football. The Champions league has a history of amazing goal scorers making it a platform honored by numerous icons of football. Neymar, Firmino and Kane have no doubt marked their presence as scoring machines of the current season, but they aren't on the list of all time Champions League top goal scorers. Without much ado let us look at the top 5 goal scorers of all time in the Champions League. Note: Data as of February 17, 2018. 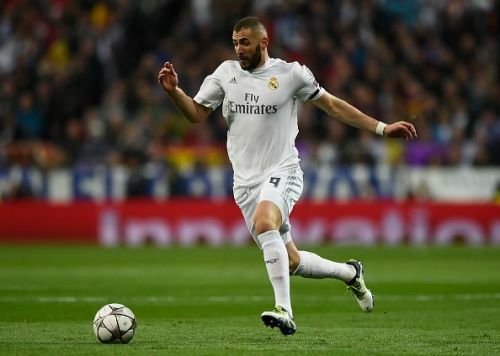 Karim Benzema has scored 53 goals in the Champions League. Clubs- Lyon and Real Madrid. France and Real Madrid striker, Karim Benzema is at number 5 on this list. He has scored 53 goals in 99 matches. Karim Benzema started his career with Lyon, before moving to Real Madrid in 2009. He has established himself as one of the top strikers in Europe since his move to Real Madrid and is currently the 7th highest goal scorer for the club. Benzema had made his international debut in 2004 and has played 81 matches as a part of the French National Football Team and scored 27 goals since then. He has won 3 Champions League titles with Real Madrid, with him playing a vital role in all of them.